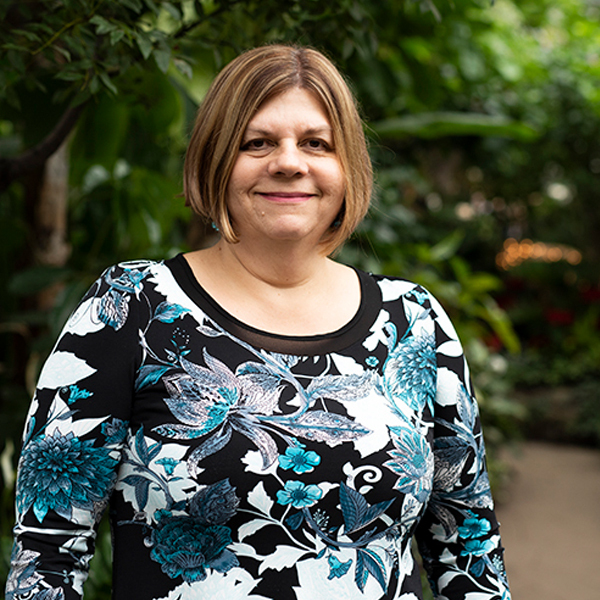 The first time Lauri P. met with her fellow patient and family advisors at Cancer Care Ontario, she was unprepared for the emotions stirred up by the encounter. Sitting in her car after the meeting, she suddenly started to cry. “The tears came out of left field. Meeting other survivors face to face was overwhelming,” she says. Far from being sad, Lauri says it was comforting to connect with people who had faced the same fears and frustrations she had. Lauri was treated for clear cell ovarian cancer in 2013 and stage 1 kidney cancer in 2017. Although she felt well cared for during both bouts with cancer, she thinks the healthcare system should focus more on patients’ psychological needs. She receives emotional support from a strong network of friends and family. She also shares experiences and information with an online forum of cancer patients from around the world. “But I worry about people who don’t have that support system, who are scared to ask questions, who live in constant anxiety. Is the system helping them?” she asks. Improved communication between patients and their healthcare teams would alleviate some of the stress cancer patients experience, she says. Knowing the rationale for tests or procedures and understanding wait times would have helped. Laurie relied on other people’s experiences to know if things were happening in an acceptable timeframe. Lauri was referred to a radiologist in Toronto for her kidney biopsy because the specialist in her home town of North Bay did not have as much experience in this specific area. Her surgery was also referred, from her urologist to a new doctor in the practice who had more experience in removing kidneys laparoscopically. “Although I had to be transferred… I feel confident that I had the best outcome possible because I received the right care from the right people,” she says. She now focuses her efforts on improving the healthcare system for current and future patients, volunteering as a patient advisor at the provincial, regional and local levels. She is also a board member with the North Bay Regional Health Centre, a position she held since before her first cancer diagnosis. When she is not volunteering, she can usually be found at her lakefront home in northern Ontario. “One of my greatest joys is to just sit on the dock in the early morning and listen to the loons,” she says. Lauri P. is a patient advisor with Cancer Care Ontario.